As the saying goes, April showers bring May flowers, but not down here in North Texas! Although we have recently received a couple of nice soaking showers and thunder storms, we are far from out of the woods when it comes to watering restrictions. Several local municipalities are starting to crack down on residents that are not adhering to the current watering restrictions, by giving out warnings and adding fines to water bills. One of the biggest no-no’s is watering during a rain or shortly thereafter, regardless of when your watering day is. This is because most, if not all of the applied water is basically wasted as the soil is already saturated. When this happens, the water does not infiltrate the soil just runs off. The best and easiest way to combat watering when your lawn is wet is by installing a Rain & Freeze Sensor (R&F sensor). Most cities require that R&F sensors are installed on new sprinkler system installations as well as when a sprinkler controller is replaced. Some cities even require that an existing system is equipped with a functioning R&F sensor before any repairs are conducted. The good news is that many cities have rebate programs, encouraging residents to have R&F sensors installed. R&F sensors are fantastic! They are designed to dry out as your lawn does so it won’t let your system water if your yard still has plenty of water. This way, if you forget to turn your sprinkler system off due to expected overnight rain, you won’t run the risk of wasting water and money, or getting a fine. At this time of year, watering restrictions have changed differently for different cities. Typically starting April 1st, most cities will prohibit watering between the hours of approximately 9:00am to 7:00pm; however, some wait until May 1st. 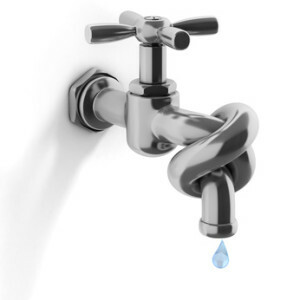 Cities that obtain their water from the North Texas Municipal Water District (NTMWD) will be in Stage 3 winter watering (watering once every two weeks) through the end of May. Many cities outside the NTMWD service area are either currently not under any restrictions or are required to limit watering to once or twice a week.